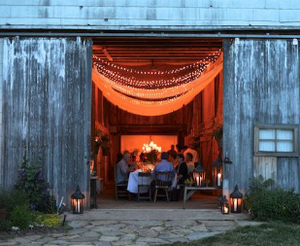 What can be more perfect than a barn dinner at the Hickories Farm in Ridgefield? Oh, a barn dinner featuring farm to table fare created by master Chef Bernard Bouissou and classical music courtesy of Madeleine Bouissou! Enjoy a magical summer evening on Sunday, August 19 beginning with passed hors-d'oeuvres, a specialty cocktail & Cello Music by Madeleine Bouissou followed by a 3-course meal. Please note: all of the food served grown on the farm! Limited to only 50 people so reserve early by contacting the Hickories HERE.